Pin It Now! Hi everyone! 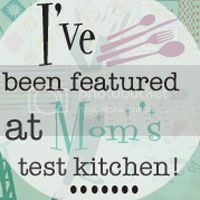 This week I am proud to be a co-host at Mom's Test Kitchen for her link party. Please feel free to head on over, link up your recipes, and show her lots of blogger luvin'! AAAHHHHH!!! It's October!!! Only 3 months until Christmas!!! Can someone please tell me where 2012 has gone?? Before I get too off track rambling about my life passing by, lets get to this week's party!! Thank you all so much for coming back each week to link up your recipes!! I love seeing what you've been making! And I want to say Welcome to the new faces we're getting! I love meeting new people & I'm so happy you've decided to come party with me!! 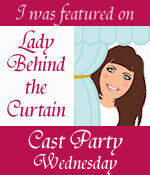 So now let me introduce you to this week's co-host ~ Lindsay from Mommy's Sweet Confessions! This lady is a dessert lovers best friend!! If you ever need a good laugh, you have to go check out her Toddler Tales!! Every mom will appreciate the humor found there!! Hi everyone! First off, thank you so much to Jaime for reaching out and inviting me to be a co-host for one of her fabulous link parties, truly an honor! 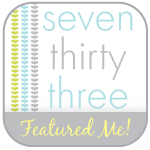 My name is Lindsay, and I am the blogger behind Mommy's Sweet Confessions. I love to bake and cook, I am a chocoholic, and I love sweets. I try to bake whenever my energetic three year old son and my one year old darling son decide that they are going to let me. Believe me, they like to make it a challenge! This recipe for Taco Chili Mac Skillet is my absolute favorite go-to one pan meal. It is flavorful, hearty, easy to make, satisfying, and it only takes one pan. What could be better? This can probably be made with staples that you have in your cupboard and freezer. You can even substitute ingredients that you do have, if you don't have some of these. Kidney beans are great, white beans are great, any shaped pasta will work perfect. Have no fear, substitute as needed! This is a meal that works for you, not a meal you work for. The spices can be adjusted to your families liking, the way it is written is a bit on the spicy side. Not drink three gallons of milk to put the fire out spicy, but wake up your taste buds spicy. It is an incredibly adaptable recipe so play around and find what works for you. In a large skillet brown and thoroughly cook the ground turkey. Once it is cooked, add the beans, green chilis, diced tomatoes (do not drain), orzo, enchilada sauce, dried onions, chili powder, chipotle powder, taco seasoning, garlic salt and the water. Stir well, cover, and bring to a simmer. Simmer on medium-low until the orzo is cooked through and the water has been absorbed, stirring occasionally, about 20-30 minutes. More water may need to be added as it cooks, so if it is looking dry, or the pasta is not cooked but the water is absorbed, just add more, it will simmer away and do no harm. Top with any garnishes desired. 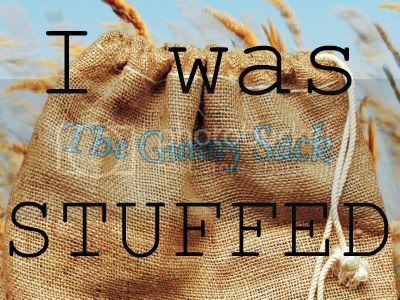 Just wanted to say thank you again to Jaime for allowing me to be a part of the wonderful blog she has going on right here. Hope you all enjoy the recipe! Thank you so much Lindsay for sharing such a great dinner recipe with us!! Now y'all be sure to head over to her page to pick out a great dessert to finish up this meal!! 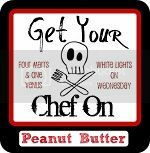 I'm thinking these Chewy Chocolate Chip Peanut Butter Cookies would be a great choice! some other recipes that you might want to try out yourself & comment! What a lovely blog and I'm your newest RSS follower. I am Sarah at The Ease of Freeze. Have a great day! Recipe looks fantastic! I'll have to try to make it. Love how the ingredients are budget friendly as well.